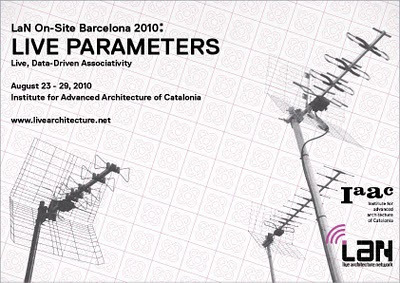 LaN announces its third On Site Barcelona workshop August 23rd through 29th at the Institute for Advanced Architecture of Catalonia (IaaC): Live Parameters. One of the key elements in any associative design model is the data to which it responds. The ‘Live Parameters’ workshop will investigate several modes for interacting with real time, real life data using a combination of existing data libraries and prefabricated sensory nodes. The workshop will use the 22@ Innovation District in Barcelona, Spain, as a data source as well as a test bed for spatial configurations generated from the recorded data. Participants will engage these topics through Grasshopper, a generative modeling tool for McNeel’s Rhino. The workshop will work with the Fab Lab BCN for prototyping and fabrication. 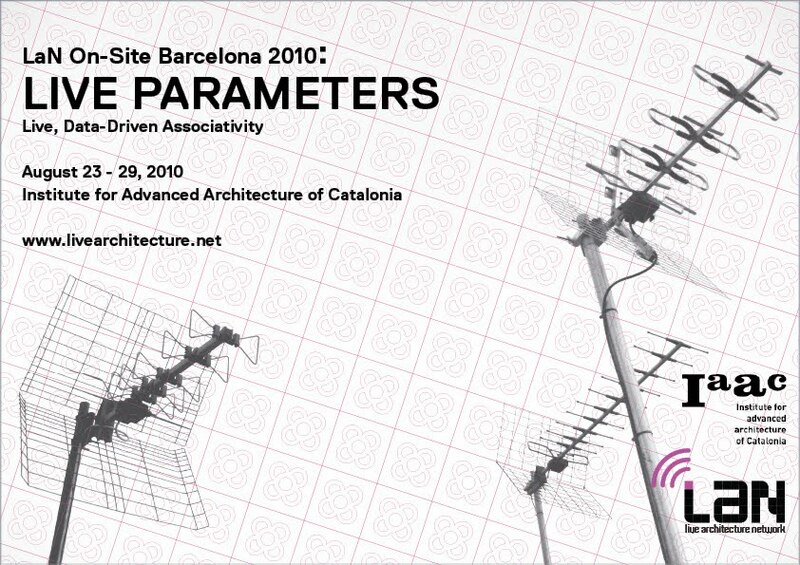 LaN Directors Monika Wittig and Luis Fraguada will direct the week long seminar on associative design and production.